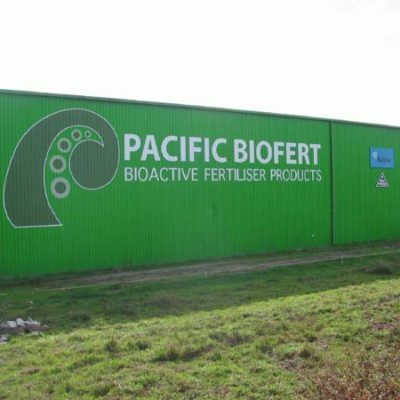 Pacific Biofert is a family run organic fertiliser business. Managed today by Bill Sinclair, Pacific Biofert began as a small farm. Clive Sinclair, Bill’s father, began work in his father’s small family flour-packing business. Clive’s father was General Manager of Northern Roller Mills (NRM), a large supplier of stock foods. Seeing a gap in the market which only sold flour in bulk, he began a business packing flour into small bags, and employed many staff who were from the Islands. Bill’s mother, Pepe, emigrated as a young woman from Manihiki Island in the northern Cook Group. Clive’s maternal family had been pastoral farmers and he too wanted to be a farmer. He and Pepe bought a small holding near Waiuku, ran a few cattle, and built a piggery. Clive investigated. He put the fish through a hydrolosate process whch uses enzymes to liquefy it and it proved a source of high protein for the pigs. He began collecting all the fish from Pukekohe Fisheries, just as the Orange Roughy fishery was beginning. Soon they had an oversupply. The pigs grew well on large quantities of fish but Clive encountered a problem when too much tainted the flavour of the meat. Clive wasn’t formally educated, but he was well-read, had an active mind and a lateral approach to problems. He turned the excess into a product that could be sold as inputs for other products, but there was still so much he began to consider alternative uses. He developed Moana Natural (cold processed 100% concentrated fish which retained all its proteins, amino acids and oils without denaturing it). Next, with the knowledge of essential minerals he’d gained from working in the flour-packing business and then further developed, he produced Moana Extra which contained additional minerals to give plants a boost. The final of this trio of products was Moana Pasture. Today Pacific Biofert still uses the same natural process for Moana Natural, the base component of all their products, and Moana Extra continues to be popular. 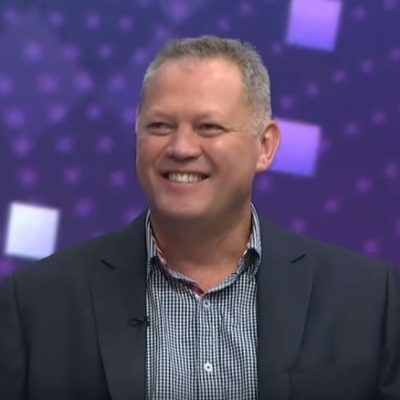 In the late 80s Clive put a team together to sell Moana as three stand-alone products. He invested in scientific research and trials run by Auckland University, Waikato University, and Crop and Food (Te Puke and Hawke’s Bay). Australian Trials were also run through the Department of Primary Industries, Future Farming Systems, and the Tatura Centre, Victoria. He discovered fish fed microorganisms, including important soil microbes, and it was an effective chelation agent helping wrap minerals and deliver them to plants as a food source, but fish on its own wasn’t a complete fertiliser. 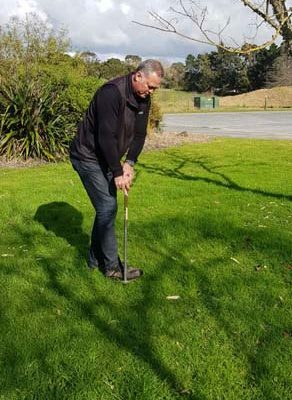 Clive appreciated that major conventional fertiliser elements such as phosphate, calcium, magnesium, potassium, and sulphur were most cost-effectively applied in solid form, but he was concerned by the environmental effects. 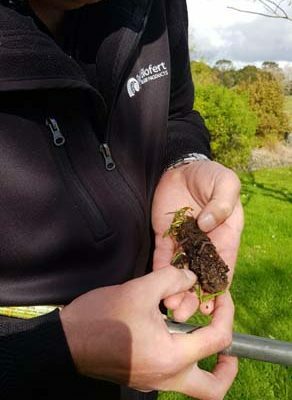 Understanding organic principles because of his experience with fish, he realised sulphuric acid (30% inclusion in superphosphate) caused soil acidulation and detrimentally affected soil microbes, so he aimed for non-acid fertiliser ingredients. He discovered that RPR (naturally mined Reactive Phosphate Rock) could be applied and be organically certified. RPR had a slow rate of release so he designed products and a manufacturing process that could be certified organic by BioGro. Following years of trial and tribulation he developed and patented BioPhos, a world first for its thermophilic component. Clive died in 2012, but his legacy lives on. Bill has worked for Pacific Biofert for 25 years, and two of his siblings, Johnny Sinclair and Dr Louisa Sinclair are on the Board. In June the company won the ATEED 2018 Pacific Business Award. Today Pacific Biofert manufactures and distributes a range of products for clients across the spectrum: from organic and conventional farmers and horticulturists, through to home gardeners. The company takes the after-filleting remains from all the major fisheries in the upper North Island. Fish, after filleting, has two uses – raw fish nutrient for liquid fertilisers, and fish meal. Fish meal is a by-product of the extraction of fish oil used for cosmetics and health products. Five to six tons of offal reduces to one ton of fish-meal from which most of the nutrients have been extracted, yet just one ton of fish offal makes 1000 litres of concentrated nutrient-dense fertiliser. Bill has seen huge attitude changes towards sustainable production over the last 15 years. He says farmers are better educated with younger people acquiring tertiary educations in agriculture. The knowledge base has developed, leading to more questions around environmental impact, which improves agricultural outcomes. Plans: Extension to lower North Island and below. Looking for sales reps with established clientele in those areas.